Like your video but it needs to be on radio or TV. If you all have $$$ use them NOW not later to get this out there to a wider audience. Thank you phoenix, the television commercial is scheduled to air soon. However, for this to be effective, it will take everyone to like, share and post to FaceBook (and all other social media) to saturate the online community. Thank you for your support and effort to help Fire Adam Hill. This weekend, walk to raise awareness! for non-profit X. All proceeds to benefit greedy schmucks. Look like a hero, lie like a thief. 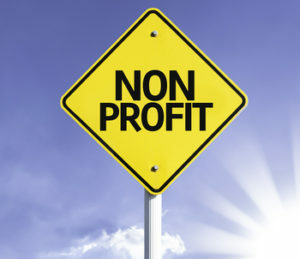 As a president of a very small, “front-line” 501(c)3 non-profit, I can understand the frustrations with keeping current with the State for re-upping the NP status. Like all things government, it is arduous, and counter-productive; however, I understand it is there for a reason (much of it, anyway) – which is why when I see stories like this, I am just reminded how many “charities” are nothing but scams. No one in my organization ever took a single cent (the opposite is true: we all give), just seeing some of these “executive” reimbursements, etc. are pretty disgusting. I live in SLO, scamming government under the guise of non-profit seems to be the way of things here. I read the whole tree guild website and under the 1023 application part of it, near the end of the application there are some interesting statements. If that were the case I think I would have heard of that by now since one of my children has ADD. I think more schools would plant trees also. Who did this study #1, and I don’t think OH TREES I will pay more for this product. So if she keeps planting trees for the schools and in the city kids should stop showing as many signs of ADD and we will be willing to pay more for city services? I don’t think so. Wonder if she even knows what the definition of a tree is! 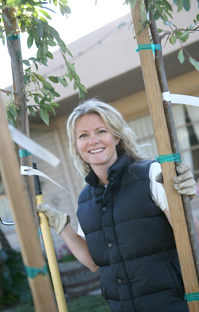 And if you want to join the tree guild membership is from $10.00 up to $250.00 what a wide margin. And she will send you a handwritten letter from a dead tree. The irony being that all of SLO’s schools (not sure about AG’s) chopped their trees down for a different type of scam: green energy (aka solar no-power). Government + bad ideas = heaven for education… educators love “a funding need” coupled with lunacy (or idiocy). Now the question is, will there be any fines, charges, removal of tax exempt status, recual on future votes or contracts, or will it remain business as usual for our local government crooks? To get an extension on a permit you have to purchase trees from Kristen Bimbo Barniech, how is that even legal, let alone ethical? 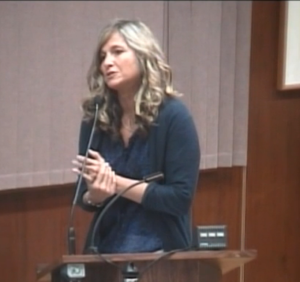 Listen to her at council meetings and it is always about her, her gym rat friends, or she agrees with councilmen Guthrie or what staff told her. She always just ask questions of staff that you can clearly tell she already has the answer to, she is just pandering away. Some people have common sense, some school sense, she has NO SENSE.She lives up to every blonde joke out there. Guthrie has been on the council for more than a dozen years. Yet at last week’s council meeting he didn’t seem to know the names of schools in the city and quipped, “they’re all the same to me”, or something to that effect. Time to hit the eject button on this seat warmer. I think it’s time for Federal and State investigators to get involved. Especially the Dee-Torres-Hill non-profit. All in favor raise your hands and say I!